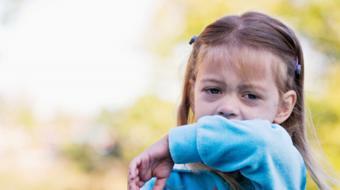 Children and Coughing Dr. Keyvan Hadad, MD, MHSc, FRCPC, Pediatrician, discusses childhood cough. Cough is probably one of the most common symptoms of childhood. And it tends to have a very large seasonal quality to it. Most children who cough cough in the colder months of the year, and most of those children will cough for a short period of time, usually following a respiratory tract infection, a cold. The problem is that if a child with a respiratory tract infection is going to have a fever, the fever will only be there for a few hours or a day or two. But the problem with a cough is, it tends to be a much longer lasting symptom. 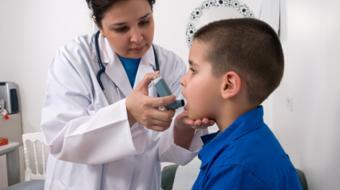 In a lot of children, the cough will go on for two, three or four weeks after a respiratory tract infection. So you can imagine that a child in a childcare setting, such as a daycare, who in the winter time goes from cold to cold to cold to cold, will essentially cough for much of the winter months. And those children essentially have this entity we call post-infectious cough – the cough that goes on, gets better, followed by another cold for which the child will cough some more. Most of these children essentially need the arrival of a period of time where they no longer catch cold after cold, and for the most part, these coughs disappear. This is a classic pattern of childhood cough in that younger age group, the 18-month-old to the five-year-old, for example, who is in a childcare setting. 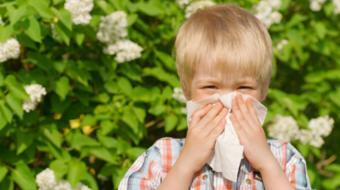 Children who have post-infectious cough generally don’t require any major medical investigation or treatment. This is quite different from the child who truly has a condition called asthma. For most children, the episodes of cough do resolve. 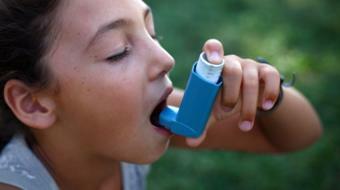 But if the family feel that the child has coughed for too long – and coughed too long often means more than two weeks of coughing – or certainly if the child has these episodes of wheezing, it is extremely important to visit the local family physician or the general pediatrician for further assessment of cough.